This warm comfort food just makes everyone feel better. 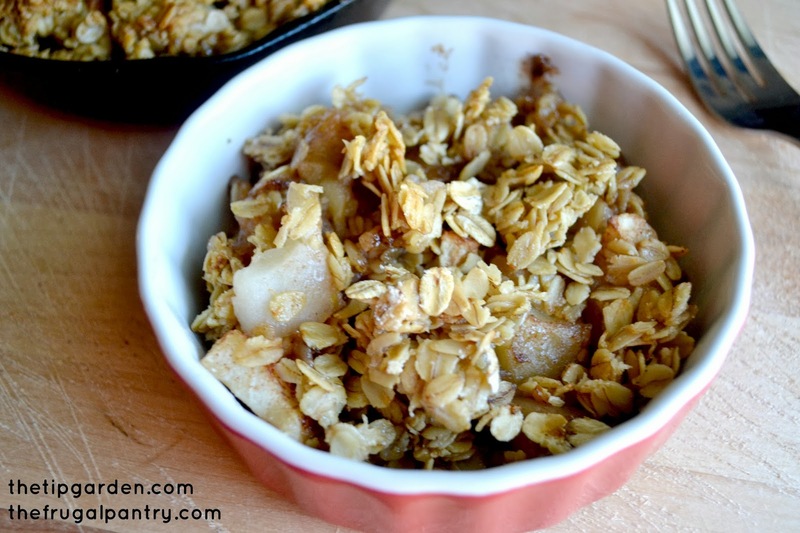 Warm cinnamon apples topped with a crispy sweetened oatmeal crunch topping, is a perfect dessert this chilly season. 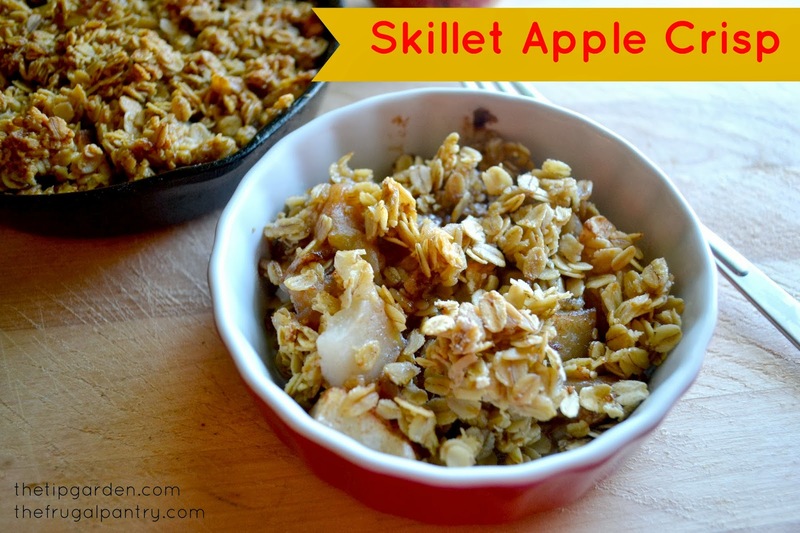 4-5 apples peeled, cored, and chopped 1/2 cup sugar or sugar substitute to taste 1 teaspoon cinnamon 1 tablespoon tapioca powder 2 cups oats 1 stick (1/2 cup) butter or margarine softened 1/2 cup brown sugar or brown sugar substitute Directions: Preheat oven to 350° In mixing bowl mix together apples, sugar, cinnamon, and tapioca powder till well blended. Pour into skillet or baking dish. In separate mixing bowl mix together oats, butter, and brown sugar till blended together and crumbly. 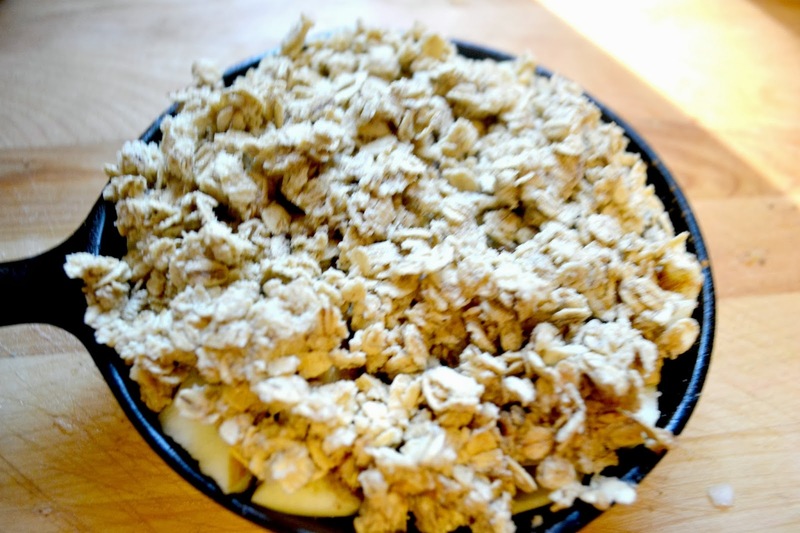 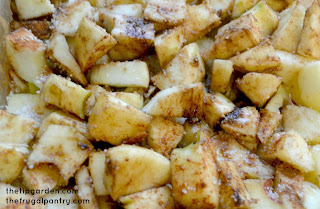 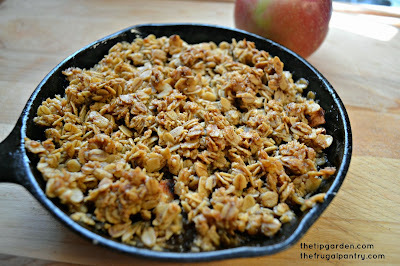 Sprinkle oatmeal crumble evenly over apples. 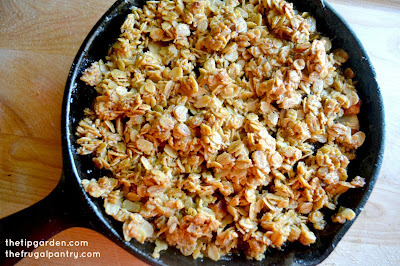 Bake 30-40 min. till apples are tender and topping is lightly browned.